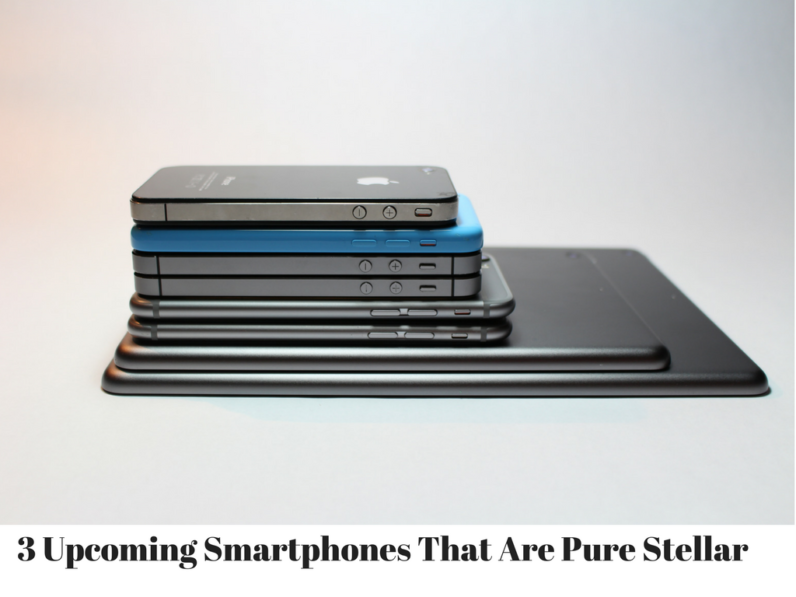 It definitely is an interesting as well as intimidating time to invest in Android smartphones. With the iOS fever never seeming to fade, it is pretty interesting to see the Android smartphone market also catching up in the race. As a result of the Android smartphones rendering high-quality, power-packed performances across mobile devices and most importantly within an affordable price range, it has become a rather competitive market among iOS and Android smartphone devices. However, given to the affordability and extended functionalities that are coupled together in Android smartphones, it is needless to say that Android devices certainly have an edge over other operating systems. Without wasting much time, let us take a look at the best upcoming smartphones that are most likely to set the telecom markets on fire! Now that the entire Samsung Galaxy Note 7 exploding debacle has come to a ceasing, this smartphone and tablet manufacturing company have come up with a new addition to its Galaxy flagship, Samsung Galaxy S8. This smartphone is expected to go on sale somewhere during mid- April and the prices are speculated to be as low as $650 for the base model and as high as $850. The top model of Galaxy S8 will be accommodating with many unique and heart stealing features, along with expensive cutting edge technology components. Samsung Galaxy S8 smartphone will come in two models, that is 5.7/8- and 6.2-inch and the AMOLED screens this time will have a narrower aspect ratio. It will run on non-removable batteries 3000mAh and 3500mAh. There will either be 4GB or 6GB of RAM, 64GB of storage and MicroSD card support available for expanding the memory. There are going to be two variants in terms of processor, in the US the processor will be a Qualcomm Snapdragon 835 and everywhere else in the world it will be Samsung Exynos 8895. There will be only one version of the S8 and it will be the curved version along with a slightly bezel-free, edge-to-edge screen. While the makers are still rolling high in the success of OnePlus One, OnePlus 2, OnePlus 3 & 3T smartphones, it is already time to make way for the fifth generation of OnePlus flagship smartphone which is expected to reach the markets somewhere during mid-2017. Since the most recent OnePlus 3T smartphone had a 5.5-inch 1080 x 1920 display, similar to the OnePlus 2 and OnePlus One version, this latest edition will also feature the same display. Though, the 5.5-inches display has been listed out as a major disadvantage in the design of OnePlus 3T by major publications. Taking into consideration the fact that the company has stuck to that size and resolution combination so far, it’s pretty obvious to think that it will do the same with the OnePlus 5 devices as well. Not only this, a 2K screen coupled with this device will also improve the VR experience as well as provide a much-needed boost to movies streaming and gaming. This time, the company has also completely changed the design for the OnePlus 5 device, giving it an authentic premium metal build, similar to the one we saw in its recent OnePlus 3 device. Coming to its camera, both the rear and front sensors have a relatively high megapixel count i.e. 16MP and 8MP respectively. Apart from this, there are several other features, including optical image stabilization and video recording to name a few! Smartphones from Asus have never been a disappointment and this time around, this smartphone manufacturer has come up with yet another device, Asus Zenfone AR. In terms of innovation, functionality, and features, AR is at par with some of the hot-selling smartphones out there. Apart from the new VR features, Zenfone AR is the world’s first 8GB RAM smartphone, which enables you to generate augmented reality based features and 3D maps! Coming straight to the hardware specifications of Asus Zenfone AR smartphone, it comes with 5.7-inch Quad HD (2560×1440) Super AMOLED panel display screen and measures 158.7 x 77.7 x 9mm (170 grams). Zenfone AR comes with a whopping 23MP rear camera and an 8MP front camera. There are two additional AR cameras on the back. It is powered by Quad-core Snapdragon 821 processor and comes with 2 RAM variants, 4GB and 8GB respectively. With a wide range of storage options available (23/64/128/256GB), there is also provision for an expandable microSD card. With 4G LTE connectivity and a powerful 3,300mAh battery, Asus Zenfone AR will come with Android 7.0 Nougat operating system and hence, it is definitely a great smartphone to look forward to.